Growing mid-sized businesses today face myriad financial and operational challenges that often exceed the capabilities of their finance staff. One solution to meeting these challenges is to hire a contract CFO to provide on-demand CFO services. Retaining a contract CFO to provide high-level financial leadership and expertise can be an attractive alternative to hiring a full-time CFO for many mid-sized firms. A contract CFO can provide the high-caliber expertise of an enterprise CFO for far less money than it would cost to hire a full-time CFO. A contract CFO will be capable of addressing a broad spectrum of business challenges while also providing a high degree of flexibility in terms of how CFO services are delivered. CFO services are professional financial services delivered by an experienced chief financial officer when executives need high-level expertise for a specific purpose or time period. CFO services delivered by a contract CFO provide proven financial leadership, planning and oversight skills that help businesses resolve pressing challenges, reach their goals and maximize value for shareholders. Because businesses do not have to budget for the salary and overhead of a full-time CFO, contract CFO services are cost effective and efficient. You need the proven expertise of an enterprise CFO to meet specific financial or operational challenges. Your business isn’t big enough to afford the cost of a full-time CFO, nor do you need a full-time CFO. You only need a CFO for a single project or for a few days a month. Or you need an interim CFO while searching for a replacement CFO. Your business may experience negative impacts by failing to access the high-level financial expertise needed to resolve financial and operational challenges. For example, there are high lost opportunity costs by failing to take advantage of opportunities, which eventually disappear. Compliance deadlines can also be missed, which may result in fines and other negative financial repercussions. How Are CFO Services Delivered? A contract CFO will usually deliver CFO services in one of three ways. The differences lie in the type of project for which assistance is needed, the frequency and duration of the engagement, and whether the contract CFO will be working on-site or off-site. 1. As a Project CFO — The CFO is retained to help you work on a specific assignment or project. The duration is driven by the engagement, ranging from a few days to a few weeks or longer. 2. As a Part-Time CFO — The CFO will work with you for a few days at a time on an as-needed basis. He or she will fulfill the role and responsibilities of a full-time CFO, but on a part-time basis. 3. As an Interim CFO — The CFO will work in place of a former CFO until you can find a full-time replacement. The engagement begins with the departure of the previous CFO and ends when a new full-time CFO has been hired. You will benefit from the full expertise of a former enterprise CFO. You will pay a fraction of the cost (in terms of salary and overhead) of hiring a full-time CFO. You can invest the money you save by hiring a contract CFO in other high-priority initiatives elsewhere. The depth and breadth of the contract CFO’s experience can be tailored to your specific needs. Growing businesses today face myriad challenges that often exceed the capabilities of their finance staff. One solution to meeting these challenges is to hire a contract CFO to provide on-demand CFO services. This can be an attractive alternative for many firms since a contract CFO can provide high-caliber expertise for far less money than it would cost to hire a full-time CFO. A contract CFO can address a broad spectrum of business challenges while providing a high degree of flexibility. 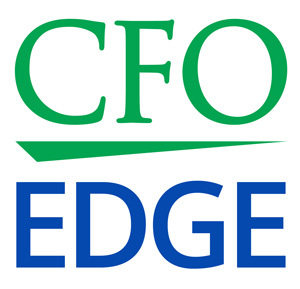 Outsourced CFO: Who Can Benefit from Engaging One? What Value Should You Expect from a CFO Consulting Firm? How Do You Differentiate Potential CFO Partner Firms?